Israel on Sunday plans to release 207 African migrants seeking asylum Sunday while attempting to finalize a deportation plan. The Population Immigration and Border Authority in a statement said that the Eritrean and Sudanese detainees will be released throughout the day from Saharonim Prison in Israel's Negev region. Israel said it is "highly probable" a deal can be reached with Uganda to take in the migrants. On Friday, the High Court of Justice instructed Attorney General Avichai Mendelblit it had until midday Sunday to present a deportation plan to safely resettle the migrants in a third country or set them free from detention. Also Friday, Musa Ecweru, Uganda's minister for relief, disaster preparedness and refugees, acknowledged that his country was "positively considering" a request by Israel to accept 500 African asylum seekers. Previously, Uganda has denied that a deportation deal with Israel exists. But he told Haaretz that his country would only accept refugees who wanted to go to Uganda and not by forced deportation. In the past three years, about 1,700 asylum seekers were "willingly deported" to Uganda. 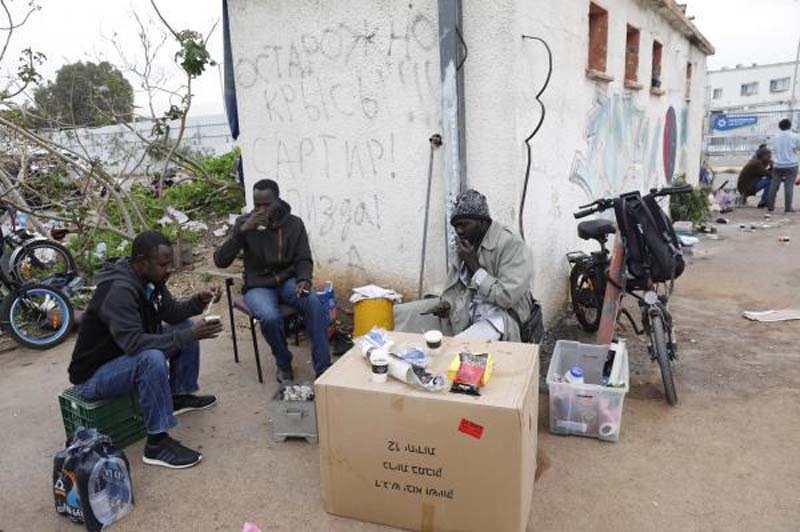 Approximately 39,000 Eritrean and Sudanese citizens now live in Israel. Earlier this month, 58 migrants were freed from the prison after a deal with Rwanda fell through. Prime Minister Benjamin Netanyahu announced earlier this month a new agreement with the U.N.'s refugee agency that would have 16,000 African migrants resettled in Western nations and a similar number given temporary status in Israel. But the prime minister canceled the deal shortly after criticism from right-wing politicians and advocacy groups. Israel's earlier offered each migrant $3,500 and a plane ticket, which has drew outrage from Israeli activists and the United Nations for the treatment of people fleeing war and persecution.